Jeff Hantman - 1st, 2nd and 3rd Place trophies for the 2015 Clif Bar Cykelscramble. 1st, 2nd and 3rd Place trophies for the 2015 Clif Bar Cykelscramble. 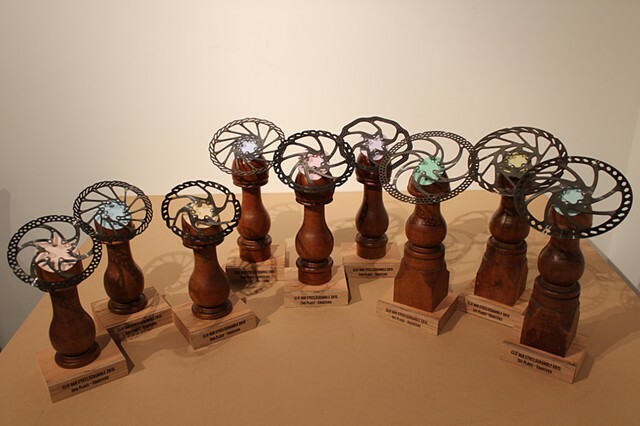 Trophies made with recycled wood, bicycle parts and laser etched name plates.